3rd generation autoflowering strain. First genetic evolution of Big Devil Auto (SWS15). 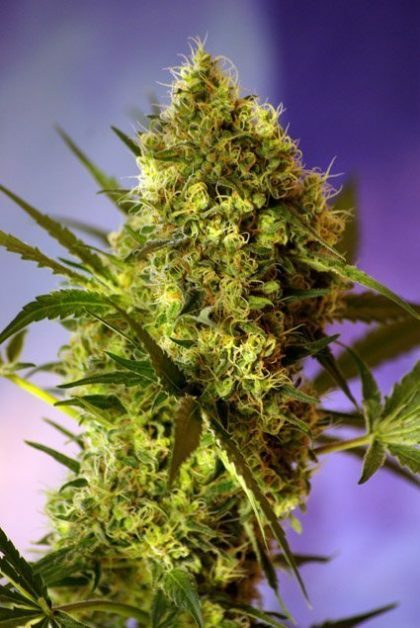 We developed this tall-stemmed feminized autoflowering strain in response to the demand of our clients who asked for bigger autoflowering plants. This strain can reach to between 100 cm and 150 cm of height. More productive and more aromatic than its previous version, this plant produces compact resinous buds with numerous side branches. Sweet aromas with hints of incense and Skunk.